Masai Mara– Located in southwest Kenya and in the northern section of the Serengeti National Park a vast array of wildlife awaits. One of the largest densities of lions are found here as well as over two million wildebeest, zebra and Thompson Gazelle migrate annually. Amboseli- Located in the Loitoktok District where the main ecosystem of savannah grassland welcomes you to one of the best places to get close to free-ranging elephants and other wildlife. Other attractions include opportunities to view Mount Kilimanjaro as well as meet the Maasai people of the area. Laikipia Plateau- Situated at the western part of Mt. Kenya this is where you will find Laikipia Plateau, a recent conservation success story. Because of this the masses of tourists have not yet overtaken the area, which allows for a more authentic experience. There are many varieties of habitats ranging from arid semi-desert to thick forest of cedar and olive trees, which gives the opportunity for an array of wildlife opportunities. Ngorongoro Crater– Ngorongoro was named a World Heritage site by UNESCO in 1979 where wildlife and humans coincide together in peace. This area was once a volcano that would have almost been as tall as Mt Kilimanjaro had it not exploded and collapsed almost three million years ago. Its area now spans 260 kilometers and allows for wildlife as well as beautiful scenery sightings. Serengeti Plains– Located in the Southern half of the Serengeti this area is one of the reasons why the annual wildebeest migration takes place. The antelope spend the dry season in the northern area where it is wetter in the woodlands and follow the rainfall south into the plains. 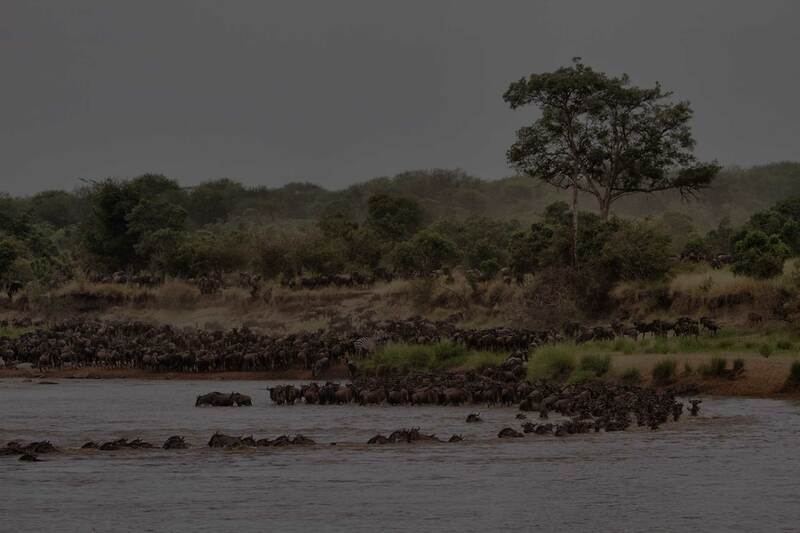 This event is a spectacular opportunity to find yourself immersed in the herds of wildebeest and truly see nature at its best. Mt Kilimanjaro– Not only would you be visiting the tallest peak in Africa but also the tallest free standing mountain in the World. For those of you who are looking for a more adventurous vacation you could consider summiting the peak over a period of time or for those looking for something a little less extreme the park around the mountain has beautiful lodges.